The poem first appeared last Halloween in Lupine Lunes, an anthology of horror poems and short stories edited by Lester W. Smith of Popcorn Press. Pick up a copy to see several more of my haiku plus some great poems and stories by such folks as Deborah P. Kolodji, David C. Kopaska-Merkel, Gary Davis, Deborah Walker, and Stephen D. Sullivan. Clicking the book cover will take you to Amazon’s page for the book. I imagine there are a few people who will look at my poem and say that it’s not truly a haiku. Many of us were taught in school that a haiku is a three-line poem of five, seven, and five syllables respectively. In fact, that’s rather a poor approximation of the most formal Japanese approach to haiku. The upshot of all this is that the 5-7-5 syllable structure in English often results in haiku that are wordier and clunkier than their Japanese counterparts. My poem above is written in lines of five, three, and five syllables. This English-language haiku structure is called a lune because its structure resembles a crescent moon. 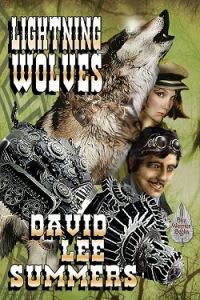 It’s also the reason an anthology focused on werewolf stories and poems is called Lupine Lunes. One of the goals of haiku as a poetic form is that it endeavors to capture a moment in time, a little like a snapshot. More than a snapshot, though, it also tries to present the emotions that go with that moment in time. My brother, Dean Summers, has been writing haiku since 1969. His haiku have been published in such acclaimed journals as Modern Haiku, Frogpond, The Heron’s Nest and Cicada. With Ruth Yarrow, he served as a judge for the 2004 Haiku Society of America Merit Book Awards. I can’t honestly remember whether I first learned about haiku from Dean or in school, but much as I’ve always loved the form, I was afraid to play in the haiku sandbox for a long time, just a little intimidated by his success. What finally motivated me to really explore the form was discovering so called “scifaiku” and “horrorku,” basically haiku with science fiction and horror elements. As someone who already wrote science fiction and horror, this allowed me to move haiku into my “comfort” zone. I could imagine future moments in time or scary scenarios and imagine what my feelings would be and play with that in word form. In fact, encountering a dead jackrabbit by the side of a dark Arizona highway was a real moment in time involving an authentic sense of horror. Fortunately, all it did was glare, otherwise I might not be here to write this post! Some days, I wake up to an inbox full of junk, sometimes it brings a lot of work. Today, it brought some exciting news, too good to wait for my regular Saturday post. 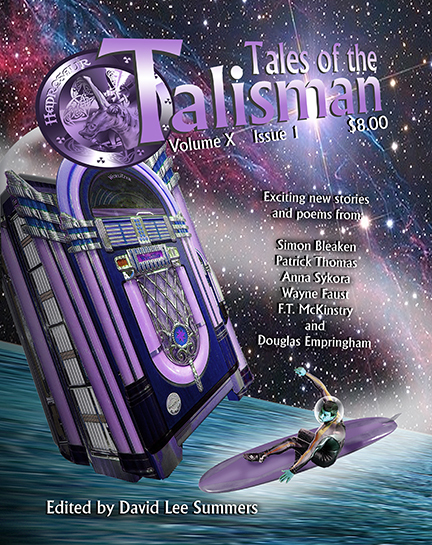 First of all, I’m proud to announce that Greg Schwartz has won the Science Fiction Poetry Association’s 2015 Dwarf Stars Award for best Short Form poem for his poem “abandoned nursing home” which appeared in Tales of the Talisman volume 9, issue 3. The runners up were Jane Yolen for the poem “Princess: A Life” published in the 2014 edition of Mythic Delirium and Robert Borski for the poem “The Square Root of Doppelgängers” which appeared in Star*Line 37.2. Congratulations Greg and the runners up! 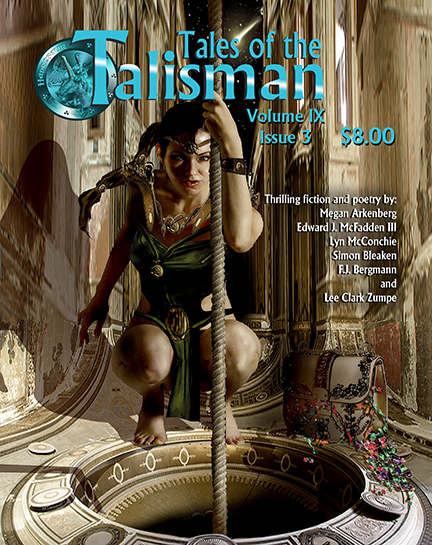 You can pick up your own copy of the issue with the award-winning poem at TalesOfTheTalisman.com or at Amazon.com. In addition to Greg’s poem you’ll find great stories and poems by Megan Arkenberg, Edward J. McFadden III, F.J. Bergmann, and Lee Clark Zumpe. Finally, I’d like to turn your attention to my Scarlet Order Vampire Journal. 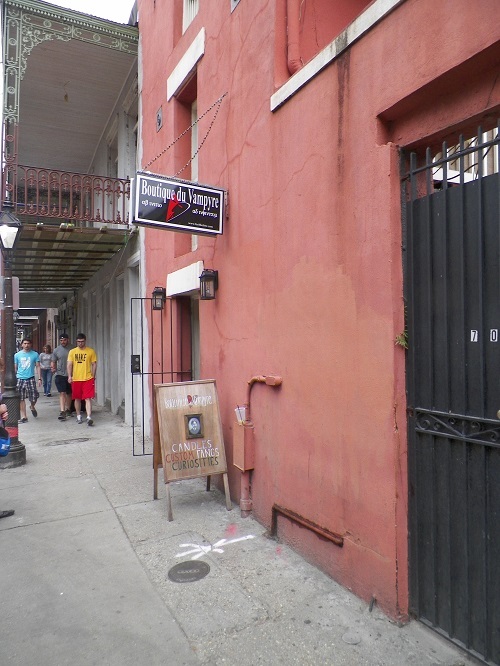 I recently had a wonderful book signing at Boutique du Vampyre in New Orleans. Not only did I recap the events of the signing, but I shared how you can obtain special signed copies of Dragon’s Fall: Rise of the Scarlet Order and Vampires of the Scarlet Order. If you haven’t already, be sure to drop by the post at https://dlsummers.wordpress.com/2015/08/31/signing-at-boutique-du-vampyre/ to get the full scoop! 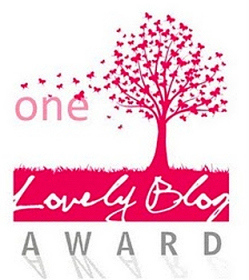 Deby Fredericks, author of the wonderful fantasy novel, Seven Exalted Orders, nominated me for the “One Lovely Blog Award.” Deby’s blog looks at dragon lore and history from around the world. If you enjoy dragon stories, fantasy, or folklore, this is a site you don’t want to miss! I have two brothers and no sisters. Of my brothers, I’m the only one who wasn’t named for someone in the family. Despite that, I do share a name with a distant uncle—David Crockett. Neither my parents nor I knew that Davy Crockett was a distant uncle until I was well into my 40s. I am the only one of my brothers who is not a native Texan. One of my brothers is also a writer and publisher. Although I’ve never lived in Texas, I was on the staff of the award-winning literary magazine of El Paso Community College for several years. Sean McLachlan’s Civil War Horror discusses the Trans-Mississippi Civil War and historical fiction plus sometimes veers off into historical fiction. Sky Warrior Books is one of my publishers and offers some great writing, publishing and marketing tips. 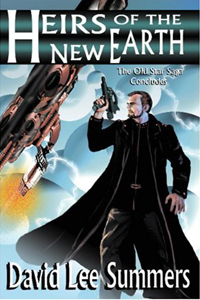 J Alan Erwine is an author and editor with many interesting projects. Melinda Moore is an author, musician, dancer, and teacher who blogs about writing, shares guest blogs, and even the occasional recipe. Rick Novy presents writing tips and interviews with some very well known authors. 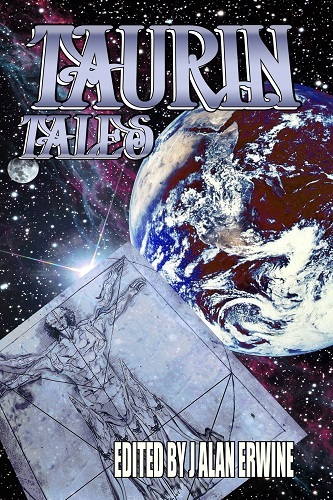 Mike Brotherton maintains a wonderful blog that discusses astronomy, science fiction and where the two come together. STEAMED! Writing Steampunk Fiction is a blog with several contributors including Suzanne Lazear, Theresa Meyers, Maeve Alpin, and O.M. 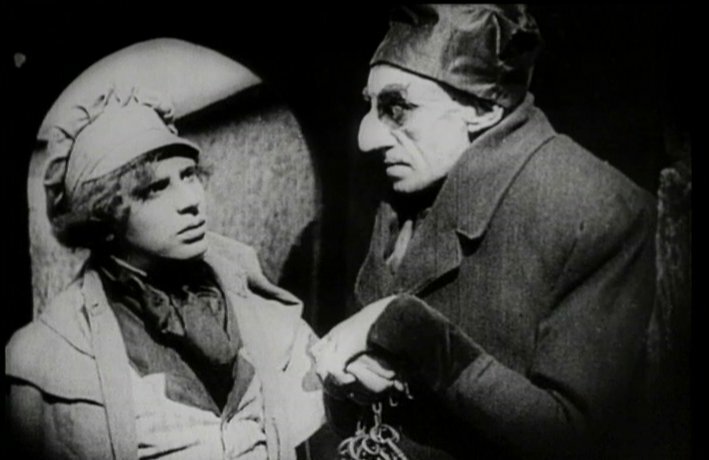 Grey, plus regular guest posts. If you want to see just how varied and wonderful the world of Steampunk can be, this is a great stop.